As you will probably know, there hundreds of photographers and it can all get a little confusing. I can tell you that I have won awards or tell you the magazines I have had images published in. But to be honest to me the most important part is I get on with my clients and produce the images my client's want. Thats why we meet a number of times before your day, to ensure I fully understand what you're after to when it comes to our day, allowing you to simply relax and enjoy yourself. I know I am extremely lucky to end up in the career that I enjoy so much. I am an full time professional photographer, holding qualifications in Photography with both the BIPP (British Institute of Professional Photographers) and with the SWPP (Society of Wedding and Portrait Photographers). I have had a real passion for photography for many years, but it was not something I thought about as a profession until a little later in my life. I spent a little over 30 years in the London Fire Brigade. It was during this time that my enjoyment of photography grew and I started to take it a lot more serious getting a range of qualifications. 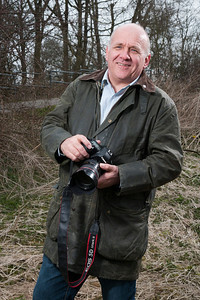 I started working part time to help a number of local photographers on an adhoc basis and doing a few commissions. My aim is to provide a high quality experience for each of my clients, hoping we will remain friends in the years to come. For all of my clients (wedding, portrait and commercial clients) I want the process to be something positive and memorable, for the right reasons. So I work with / alongside you to ensure I fully understand their requirements and ensure that together we get the best from the opportunity.